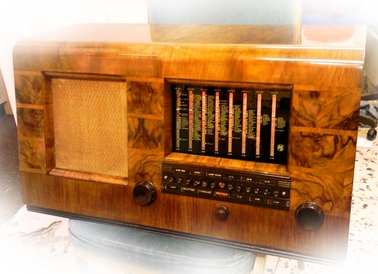 We offer a restoration service for your own vintage radio/wireless. There are 3 services to chose from. Home is a basic chassis restoration for wireless sets from the 1950s/60s. We will remove and clean the chassis. All components that need replacing (or are likely to fail in the future) will be replaced with high quality modern ones. This price also includes any valves* The set will be fully tested and come back to you with a new mains lead, plug and a 2 year guarantee. Light is a slightly more involved restoration of the chassis for 1920s to 1940s wireless sets.Again the chassis is cleaned and all components that have failed and the ones likely to will be replaced. The tuned circuits will be fully re-aligned and tested. Many of these sets use rubber covered wire inside the chassis and this will be replaced with modern PVC wires to make the set safe to operate.This service includes valves**, new mains lead (usually cloth covered) and new mains plug. A 2 year guarantee also comes as standard. Third is a full, major service and complete restoration of the chassis on any wireless set from the 1920s through to the 1960s. This includes all parts necessary for the restoration including valves*** Any visible components will be re-packed into the original cases to preserve originality in appearance. Visible wiring will be replaced with period style wire (eg. cotton covered) where it can be seen. The overall appearance of chassis would change very little. All switches will be cleaned and volume and tone controls stripped and repacked. This service has a 5 year guarantee as standard. Magic Eye Valves are chargeable on any restoration, this will be discussed before work commences . We also offer a complete restoration service for your own vintage TV. 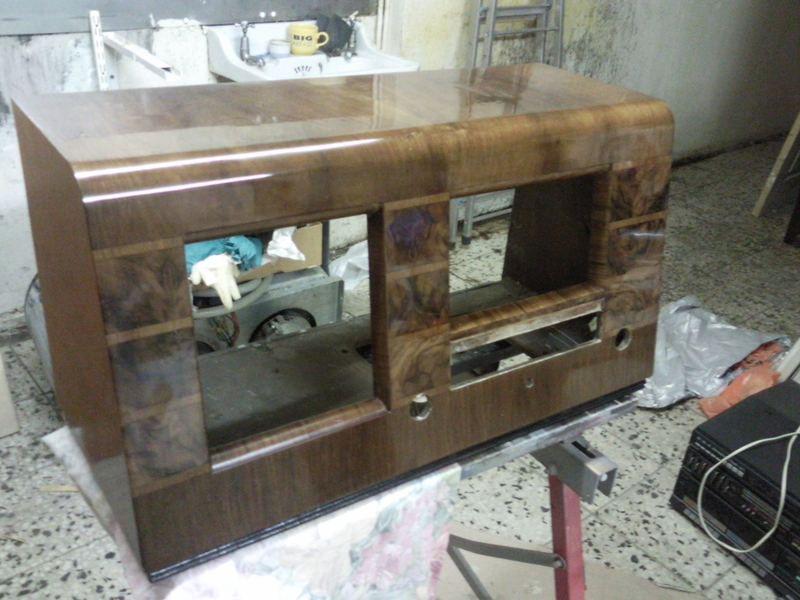 We offer a restoration service on any pre-war TV set through to the 1960s. 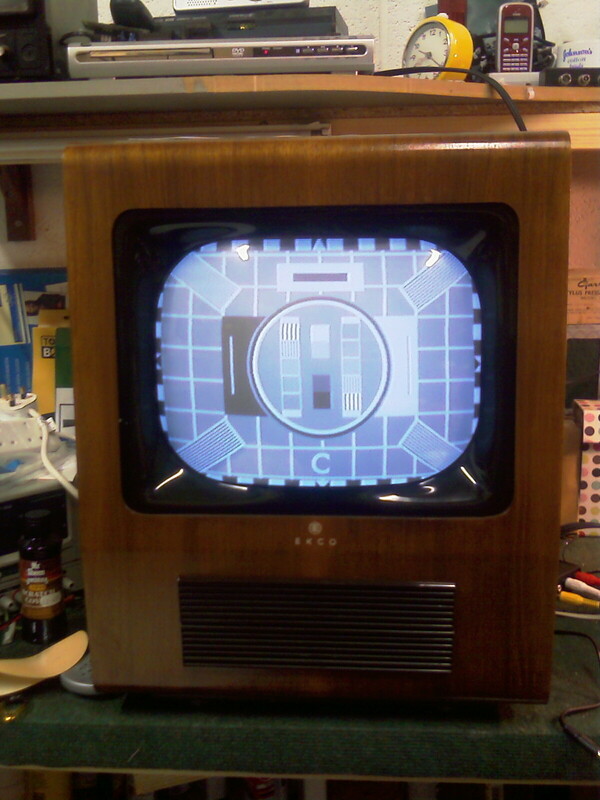 Due to the complexity of vintage TVs we don't offer basic servicing. Only full overhauls are available. The prices below are 'ball park' figures. We will be happy to provide a free estimate. We are one of the only companies that have full facilities for cabinet restoration. What's the point in having a great sounding radio or TV if the cabinet lets it down. We are happy to discuss details of any cabinet work required. Insuring the highest possible standards of work. Click on the images below.